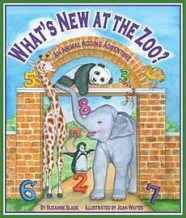 The addition read alouds reviewed below are among our favorites for capturing the attention of young students while motivating them to think and reason mathematically. We love to use these picture books to launch math lessons as they provide opportunities for problem solving while connecting mathematics to reality. Click on the underlined blue text in the description of each addition read aloud to download a task card with a problem solving activity. Digging in his garden, old Mr. Haktak, finds a mysterious brass pot. What could it be, he wonders? When he arrives home, Mrs. Haktak’s hairpin accidentally slips into the pot, and that’s when the magic of the pot is revealed: suddenly there are now two hairpins inside the pot. Indeed, everything in the pot magically doubles. What fortune, the humble farmers think, and they promptly multiply their few remaining gold coins many times over. But when Mr. and Mrs. Haktak both manage to fall into the pot themselves, it’s double trouble! 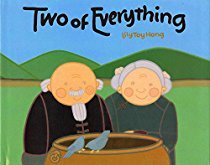 Based on a Chinese folktale, Two of Everything is the perfect introduction to lessons on the concept of “doubling," and is often used in conjunction with a lesson utilizing a mirror to “magically” recreate the doubling effect of Mr. and Mrs. Haktak’s brass pot in the classroom. We've used this book - one of our favorite addition read alouds - in lots of different classrooms over the years and it never fails to get giggles from both students and adults. 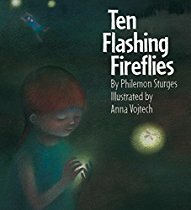 The first of many children’s books that Philemon Sturges wrote during the last decade of his life, the rhyming text in Ten Flashing Fireflies is elevated by the wonder of nature and Anna Vojtech’s luminous illustrations. One summer evening, two children catch ten fireflies at dusk and put them in a jar to light up their bedroom. The children soon find that the fireflies lose their glow when trapped in the jar, and decide to set them free, counting as they fly off, one by one, lighting up the night sky once more. With beautiful pictures spread across double pages in deep nighttime colors, and a subtle message about compassion and respect for the natural world, this is a book which young children will want to read again and again. This addition read aloud is perfect as an introduction to a math center focusing on combinations of ten as every time one firefly is collected in the jar (on the left page) there is one less in the sky (on the right page). 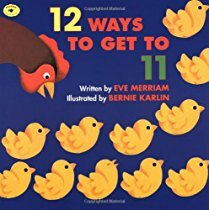 After reading this book to the class we like to revisit the story with small groups and have children model the actions on a ten frame. On a rainy afternoon a sleepy household congregates on Granny's bed, slowly building a relaxed pile of bodies in shifting positions. 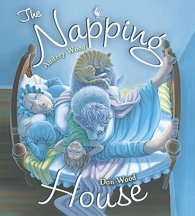 As this story unfolds a dreaming child, dozing dog, snoozing cat, and slumbering mouse make their way, one by one, to the bed - until finally a wakeful flea bites the mouse setting off a chain of events that awakens the whole house to what has become a beautiful, sunny day. 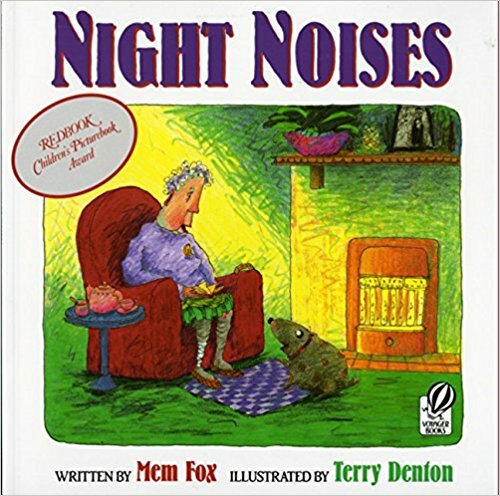 While not explicitly an addition read aloud this cumulative tale, with detailed comical illustrations by Don Wood, never fails to capture the attention of young children while providing an engaging context for problem solving. 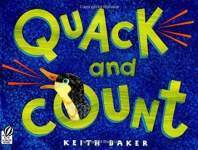 The rhyming text and bold collage illustrations in Quack and Count capture the antics of a groups of ducklings as they slip, slide, leap, and dive - grouping themselves in different combinations that add to seven. This book is the ideal addition read aloud for kindergarten and first grade lessons focusing on decomposing numbers into different pairs of addends. After reading, have each student write and illustrate his/her own equation with a sum of 7 using two, or three, addends. Compile student’s work into a class book and add it to your math library for children to enjoy during reading time. This wordless picture book begins with 10 children living in a house. One by one they move to a new house with their possessions, so there are 9 in the old house and 1 in the new house, then 8 in the old house and 2 in the new house, and so on, until all 10 are in the new house. On each spread we see the inside of one house and the outside of another, with die-cut windows which allow the reader to peek into contents from the next page. This book has beautiful detailed illustrations and can also be ‘read’ from back to front. 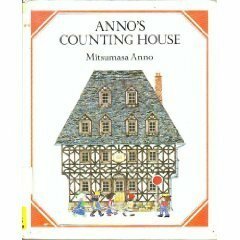 Although out of print, if you can find a copy in your library or pick up a second hand copy cheaply, this book provides an engaging context for discussing pairs of addends that equal ten. A hungry monkey is stranded on an island with nothing but lemons to eat. She spies a banana tree on another island but must come up with a plan to navigate the crocodile-infested waters to get to it. The monkey outwits the hungry crocodiles and tricks them into making a bridge to the island using counting. 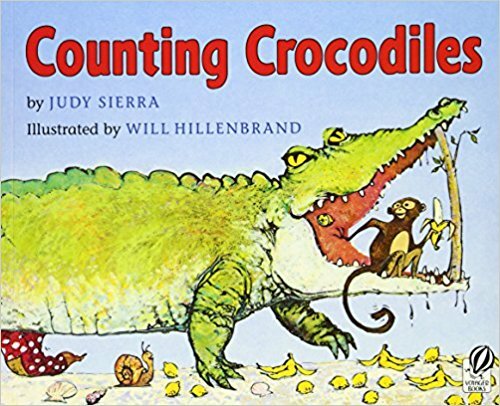 She counts one crocodile with a big smile, two crocs resting on rocks, three crocs rocking in a box, four crocs building with blocks, five crocs tricking a fox, six crocs with pink mohawks, seven crocs juggling clocks, eight crocs in polka-dot socks, nine crocs with chicken pox, and ten crocs dressed like Goldilocks. 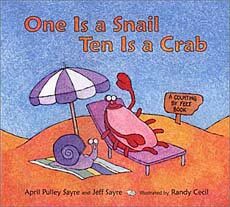 This rhyming tale provides the perfect opportunity for posing a problem involving adding the numbers one through ten. As elderly Lily Laceby, with hair “as wispy as cobwebs in ceilings” and bones “as creaky as floorboards at midnight,” dozes by the fire on a cold winter evening her dog, Butch Aggie, becomes alarmed by strange noises outside. Who could be out on such a night? Finally awakened by the sounds of people shouting and Butch Aggie’s barks Lily opens the door to a lovely surprise. Her 2 sons, 3 daughters, 14 grandchildren, 35 great-grandchildren, 1 great-great-grandchild, and 47 other friends have arrived for her surprise 90th birthday party! 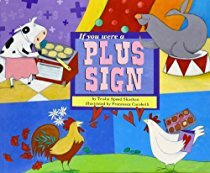 The vivid language and colorful illustrations in this book combine to hold children’s attention and provide a meaningful context for problem solving. After reading and discussing the story we like to pose the question, "How many visitors in all surprised Lily for her 90th birthday?" Children can work alone, or with a partner, using any materials from the math center they choose to solve the problem and record their thinking. 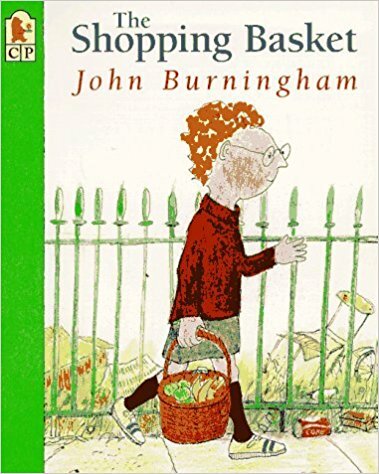 Sent to the shop on an errand to buy "six eggs, five bananas, four apples, three oranges for the baby, two doughnuts, and a packet of crisps," Steven encounters a series of animals on his return journey who try to bully him into handing over food from his shopping basket. In each case Steven manages to outwit the animals and arrives home in time for tea, only to be scolded by his mother for taking so long! 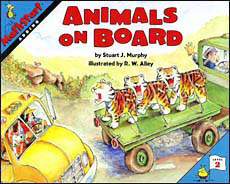 We’ve used this book as an addition read aloud in first grade classrooms. After reading students worked in pairs to figure out how many items in all Steven bought at the shop.